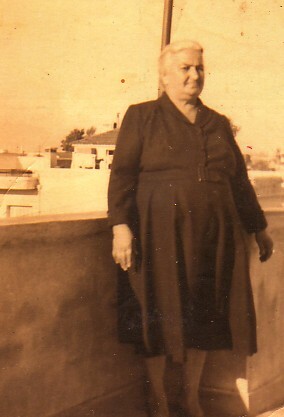 Above: My biological mother, Penelope. 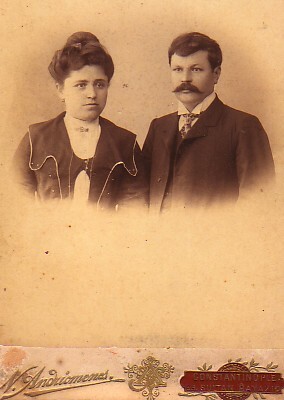 Above Right: My adpoted parents, Androniki and Giorgos. Above: Opening the hahles, trahana at the kambo. 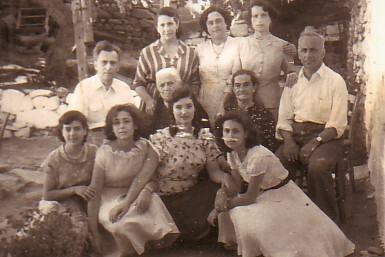 From left, we are: myself; my mother's niece, Despina Pasadellis; my mother-in-law, Ekaterini Kapetanellis; Despina's mother, Mosha; my mother's niece, Kleoniki Kyriakidou and her adopted daughter, Pipina. Above Right: Eressos, 1953. 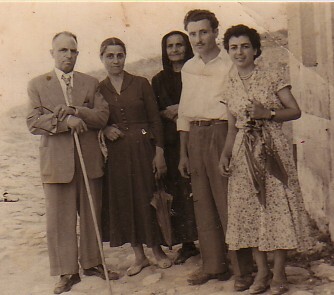 This photograph was taken when Kostas Loukides (first from the right)was visiting from the United States. 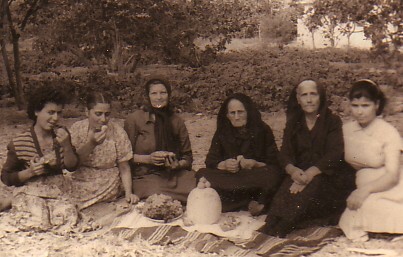 I am sitting first from the left; my mother is first. Above: Eressos, 1955. With Nikos and Despina Pasadellis, Panagiota Zevlikari, my husband, Dimitrios and myself. 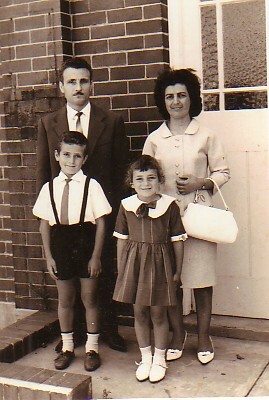 Above Right: Outside Agios Nikolaos, Sydney, with my wife, Niki, and our children, Mihalis and Georgina.